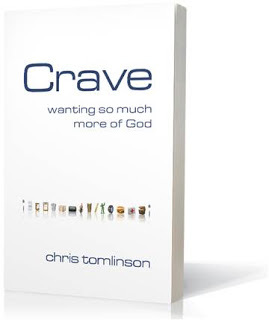 Crave is a book about one young man’s journey of developing a meaningful Christian life for himself. Tomlinson is real about the messy and bumpy road it can be at times. He writes about times when he didn’t do something that he felt God was nudging him to do. Or times when he did good things and felt superior for doing them. He had some great practical examples of being a light in the world. He picked up trash around his home rather than ignore or complain about it. I like his idea of giving his first-class airline upgrade to someone else – he attempted to do this, but the airline won’t allow seat transfers between passengers. His writing style is easy to read and some of his analogies are refreshing. Each chapter is based on a different topic. The age and/or life experience of the author are visible in some of his thoughts and conclusions especially about subjects like – rules, suffering, needy children and joy. My thoughts/beliefs aren’t the same as his on some of these. I was given two copies of Crave – one for me to review and one to give away. Leave your name in the comment section before 9PM on Thursday for a chance to win. Winner will be post Friday morning. Looking forward to the possibility of winning but either way, thanks for the link to the first three chapters.